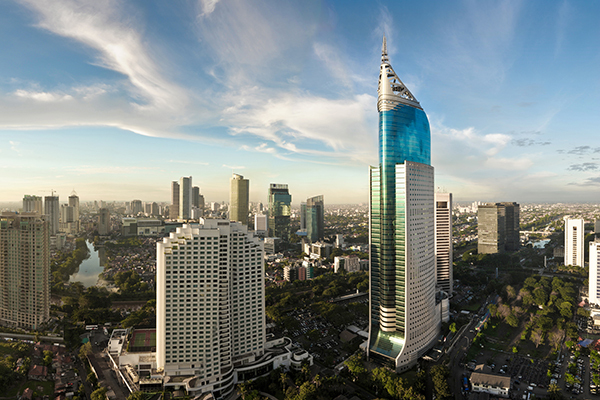 Along with a recent upgrade of Wicaksana’s distribution center in Jakarta, DKSH has received the IPAK license for medical device distribution from the Indonesian Ministry of Health. DKSH’s acquisition of Wicaksana one year ago, is paving the way for the market entry of its Business Units Consumer Goods and Healthcare. Zurich, October 31, 2018 – Following the acquisition of PT Wicaksana at the end of 2017, DKSH has diligently upgraded Wicaksana’s infrastructure and expanded the client base for its Consumer Goods and Healthcare businesses. Wicaksana’s distribution center in North Jakarta has been enhanced and can now offer a first range of healthcare services. Additionally, the Ministry of Health of the Republic of Indonesia has recently certified the facility with the IPAK license (Ijin Penyaluran Alat Kesehatan) for medical device distribution. DKSH has also upgraded other distribution centers in major Indonesian cities and will continue to invest in the market, thereby preparing for the potential growth in business. Likewise, DKSH has connected Wicaksana to its Group-wide SAP platform and introduced innovative IT applications which allow better planning and tracking of sales performance. Through its joint venture with Smollan, DKSH is also providing its field marketing and in-store activation services to the Indonesian market. DKSH is getting off the starting blocks to offer its range of Market Expansion Services in Indonesia – from product registration to importation, marketing and sales as well as distribution and logistics. First international clients from the consumer goods and healthcare sectors have decided to entrust DKSH with some of their products in Indonesia, including Unilever International, Australian PharmaCare and Swiss Medinova. Founded in 1973, PT Wicaksana has been successfully operating as a distributor of consumer goods and healthcare products in Indonesia. The company has also been listed on the Indonesian Stock Exchange (WICO:IJ) since 1994. With 39 distribution centers across major cities, the company employs around 1,050 specialists and generated net sales of approximately CHF 70 million in 2017.